The U.S. Department of Veterans Affairs (VA), the U.S. Department of Housing and Urban Development and the United States Interagency Council on Homelessness — together and in partnership with numerous public- and private-sector entities nationwide — have made significant progress toward the goal of ending Veteran homelessness. 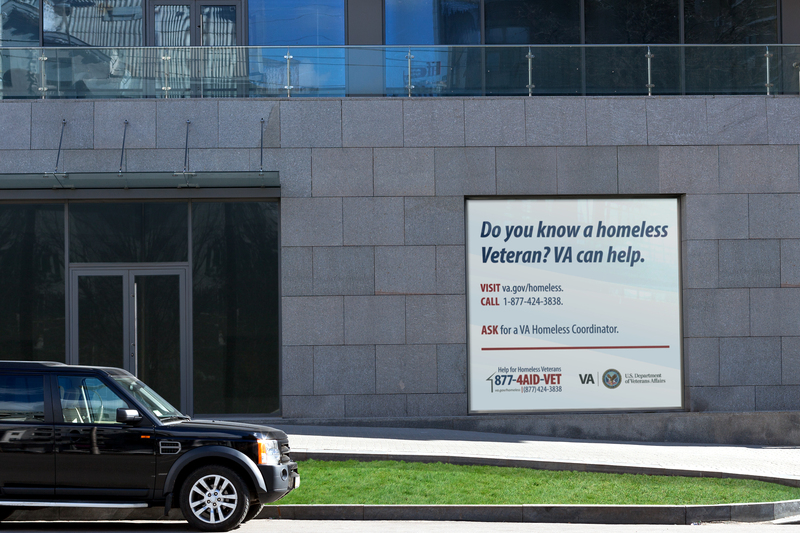 However, the government estimates that more than 40,056 Veterans remain homeless on a given night in the United States. Reaffirmed the federal focus and commitment to ending Veteran homelessness. Secured more partner and community commitments to the goal of ending Veteran homelessness. Shared the solutions, practices and strategies to sustain successes. Informed decision makers of resource gaps and the investments needed to close them. We engaged in strategic planning. We assessed the most effective ways to engage audiences of Veterans and the VA employees who served them. We then developed the main campaign communications plan and paid media plans, which matched outreach channels to concentrations of homeless Veterans and the nearest VA facilities. Our team also completed a strategic communications plan; comprehensive partnership outreach plan; two Point-in-Time Count strategic communications plans; an internal communications plan; and interagency action plan. We attracted partnerships. Aptive’s targeted partnership-building and engagement of homeless Veteran populations in high-need cities helped VA serve more Veterans. Direct outreach consisted of Aptive researching viable partners, conducting screening interviews to gauge their willingness and ability to directly or indirectly assist Veterans who are homeless, setting up meetings with VA officials and publicizing success stories in providing housing, employment or move-in essentials to Veterans. Outreach was also used to spread the word about the campaign — message amplification partners included the Housing Partnership Network, National Association of Workforce Boards, NeighborWorks and Zillow. Partners who agreed to support efforts to employ Veterans included Aerotek, Dog Tag Bakery, Flagger Force, Progressive, Ricoh and Staffmark. We crafted compelling communications to reach Veterans, employees and partners. Aptive generated content through well over 150 communications artifacts and additional content for a variety of outlets aimed at Veterans, employees and partner audiences. We developed program office guides, fact sheets and news releases. We researched and wrote newsletter articles, blogs and op-eds on behalf of Veterans, partners, VA leaders and celebrity sponsors. And we generated web and online content for all audiences. We ran an innovative paid media campaign. We led a targeted 25-city paid media campaign involving geo-targeted digital and out-of-home placements (e.g., billboards, bus tails and phone kiosks) and public service announcements. We mapped high-need populations to high-performing local VA medical centers and created ads that urged Veterans to “Call, Visit and Ask” local VAs for immediate and direct support. We worked with national hotline staff to prepare them for an increase in calls and prepared local VA staff to receive an influx of Veterans seeking support at their facilities. Meaningful partnerships – Secured 36 service-gap-filling collaborations with potential to reach approximately 220,000 Veterans. Greater impressions – Conducted digital ad campaign that delivered over 120 million impressions and generated 308,574 clicks. Calls to the hotline increased 50 percent and local VAs were prepared to help Veterans who sought support. Effective public relations – Secured placements reaching approximately 2.5 million people. Well-received content – Ghostwrote at least 32 Veteran homeless-issue blogs on VA’s blog (each of which were blasted to 1.2 million-member subscriber list), six on The Huffington Post (receiving a combined total of nearly 40,000 “likes”) and one article for VA’s 300,000-circulation magazine. Wrote an op-ed for the VA secretary that was picked up by McClatchy wire service and published in four regional newspapers, reaching thousands of readers. Award-winning tools – Won a MarCom award for employee- and partner-focused toolkits on housing and employment of Veterans.